The ever-evolving face of healthcare demands more attention to be paid towards its digital marketing front. In the past few years, digital marketing has shown tremendous rise and has swiftly made its place in almost all industries. 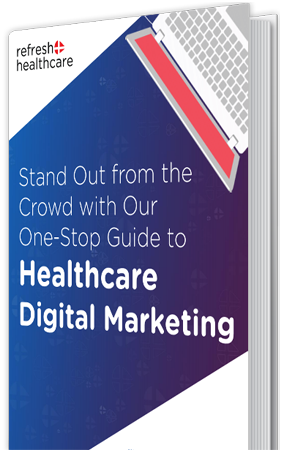 While other markets have acknowledged the significance of digital marketing, healthcare businesses also need to jump on this bandwagon. According to a survey conducted by Google , 89% of consumers make an online search whenever they’re looking to resolve a healthcare query. This makes healthcare-related searching the third popular online activity. This offers a huge window of opportunities for the healthcare industry that cannot be ignored. Healthcare digital marketing strategy is the only way to avail maximum benefit out of this huge opportunity. 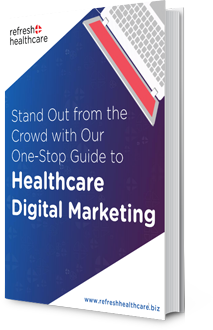 We've accumulated some tips that can help you design a strong and effective digital marketing strategy for your healthcare business. You may have various social media accounts and your online ads placed on different platforms, but the traffic ultimately gets diverted to the website. So, you need a website that can serve as your online representative. It makes the first impression on the user. Make sure that your website is patient-centric and is easy to use. You have to give the user the best experience by making it easy for them to navigate and access the information and answers they are looking for. When working on a healthcare digital marketing strategy, don’t undermine the importance of content marketing. It not only helps you maintain a strong online presence but also provides required information to the user in a more organized and personalized manner. You can plan the frequency of blog posts that get posted on your website. They can be daily, weekly or bi-monthly. You can also feature testimonials around your website to provide a more insightful experience to your user. Although email marketing has lost its significance due to the Google mail filtration, choosing the right healthcare digital marketing strategy can be helpful. Make your emails resourceful and inspiring that would ultimately grab the attention of the user and would compel them to read it. Email marketing can work in favor of your hospital business if you have the right visuals and texts in the mail body with an attention-grabbing subject line. Sending newsletters through emails can keep the patients and users updated with what’s happening in your hospital and what new services have been launched. Choosing the right timing to mail can double your chances of the mail actually being read, and placing the right keywords and avoiding certain words can enable you to successfully overcome the problem of email filtration. With us, you will be able to give your clients, both prospective and current, what they are looking for. And they are likely to keep coming back to you when they get every information they need easily. Refresh Healthcare is a name that everyone trusts, especially when it comes to healthcare service providers in India. We are the best digital marketing agency helping healthcare clients in India looking for a seamless digital marketing experience.